Virgin has conquered the skies, land and seas, and Richard Branson shows little sign of slowing down with his new cruise ship. 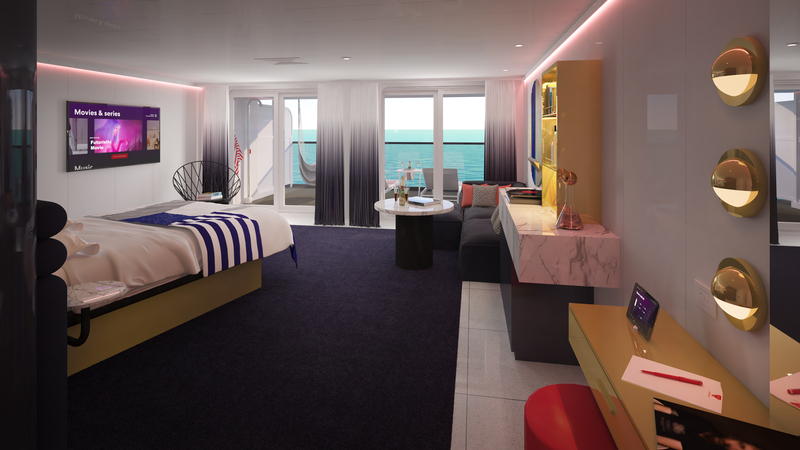 Called the Scarlet Lady, it’s set apart from other ships because of its RockStar Suites – 78 suites which are entirely themed around rock and roll. 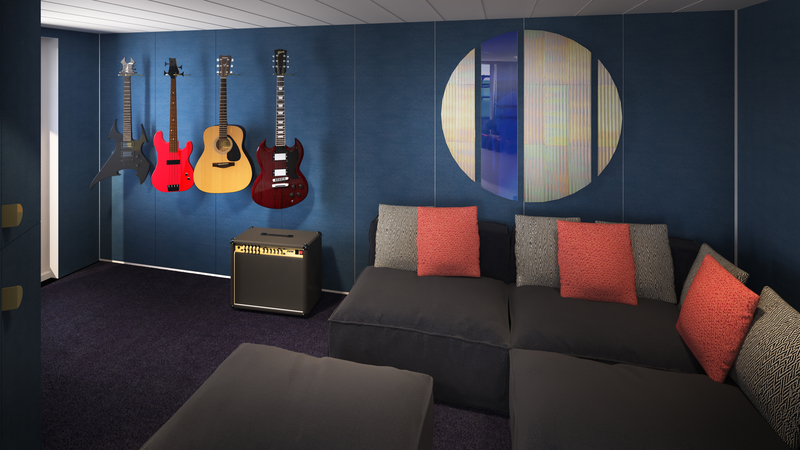 Inspired by icons like Grace Jones, this part of the ship is decked out with guitars and everything else related to rock and roll. 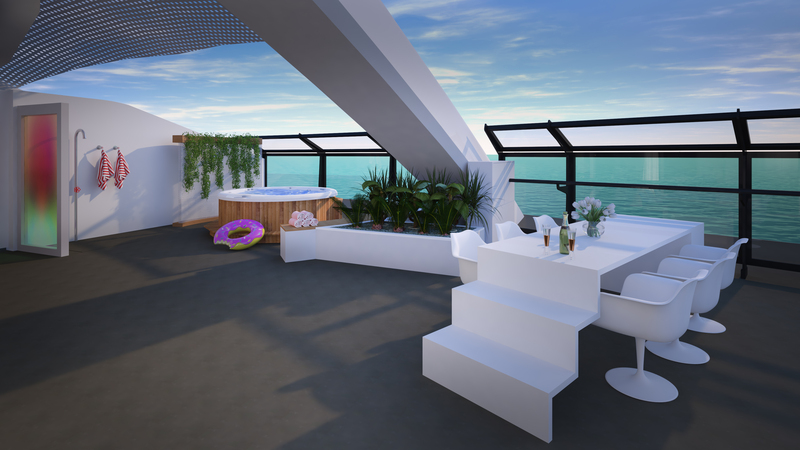 There are plenty of small touches any rockstar would be pleased with – such as the terrace for each suite featuring an outdoor shower and a specially-designed champagne table. And obviously, each suite is kitted out with its own bar. The ship is currently being finished off in Miami, and will be taking to the high seas in 2020 – headed for the Caribbean. One of the first locations it will visit will be Havana, Cuba. 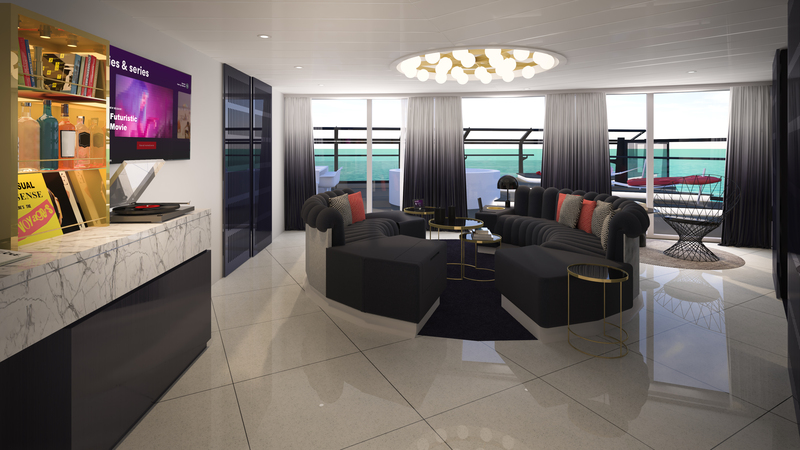 For now, all we can do is have a look at the glamorous new set of suites. This one comes with its very own music room, which doubles as a bedroom. You can lie in bed looking out to sea. It’s obvious there’s more than enough room for a proper party here. …as well as a hot tub. 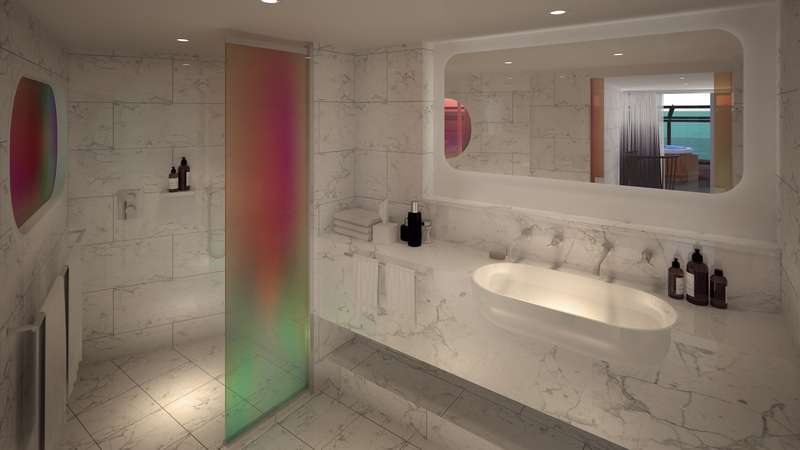 And there are all-marble bathrooms to relax in.